November 17th is one of the Greek National Holidays and is about the student uprising that took place in the Greek Polytechnic University in 1973. That was the day when the massive demonstrations against the Greek Military Dictatorship escalated to an open anti-junta (junta is the name given to the military regime of that period in Greek) revolt and ended in bloodshed in the early morning of November 17 after a series of events starting with a tank crashing through the gates of the Polytechnic. But how did all of these happen? After those events, Metapolitefsi (which means the change of the political system) took place. and it includes the transitional period from the fall of the dictatorship to the Greek legislative election of 1974 and the democratic period immediately after these elections. Today, November 17 is considered a holiday in Greece for all educational establishments. Most schools and universities are closed or hold commemorative services, usually the day before. The commemoration day ends traditionally with a demonstration that begins from the campus of the Polytechneio and ends at the United States embassy. Very often, there are protests during the day, so avoid the centre around the area of the Polytechnic. 1. Time for coffee!! Greeks love coffee! And most of all they enjoy sitting back, watching the rain fall while drinking their warm coffee. Maybe it is time you try a Greek coffee or some of our traditional sweets! Having a coffee at the AthenStyle full covered and heated Rooftop bar & café is just what you need! Besides, according to the Greek tradition, people spend hours and hours in one coffee table (average time is 1.5 hours!). 2. It’s culture time! What’s best than visit museums, when outside it’s pouring rain! During holidays you also want to learn more about the intellectual and cultural aspect of the city you are in, so this is the best chance for you! Athens is full of museums, most of which are in the centre and walking distance from AthenStyle hostel. 3. Another archaeological and contemporary art museum is of course the Athens metro! In every station, you will find exhibits, such as statues, pottery, etc. The best stations to visit are Syntagma, Monastiraki and Acropolis. 4. Shopping: You know shopping is always a pleasure, especially for women. If you don’t want to walk around and explore the city under the rain, you can have a look at the shops! Ermou street, is the main shopping street of Athens and it is right next to AthenStyle hostel! Moreover, in Monastiraki square, you can see the flea market. There, you can find anything you need and if you bargain a little you can lower the price and get some amazing things in great price! 5. Feel like reading? You can go to the National Library, at walking distance from AthenStyle hostel. It has a wide variety of books, magazines, scripts and documents as well as a collection of Lord Byron’s personal items. 6. What about a movie? There are many cinemas, not far from the city centre. All movies are played in English (or the original language) with Greek subtitles, so you will be able to follow! Just a few days left until the 9th of November! Have you planned your stay yet? Whether you are a runner or you will come just to enjoy autumn in Athens and watch the marathon, book your stay with us and we will guarantee you a great time! If you are a runner book three nights and we give you the forth for free! 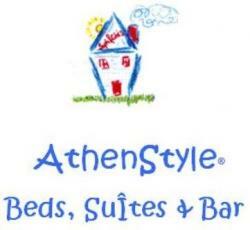 Book the first night online on our site http://www.AthenStyle.com and send us an e-mail (info@athenstyle.com) to inform us about your participation to the marathon and we will book you in for four nights. On arrival you will just pay for three!!! If you are here on vacation we have a special Winter’s Deal for you! Book three nights and you will get our discounted prices! Because we are so much better that a cheap hotel! Today, October 28th, Greece is celebrating the ”OCHI” DAY (literally means NO DAY), a day when the Greek government said NO to Italy’s request to station Italian troops in Greece during World War II. Near the parliament, there will be a school parade, where all students will be wearing white and blue clothing. AthenStyle Hostel, the best hostel in Athens, has an amazing tip for you: today, all archeological sites and museums will be open with FREE ADMISSION! This year is the best chance to visit the great city of Athens and attend a Greek tradition as well as enjoy all museums and sites free of charge! The story begins in 1935, when King George II was restored to the Greek throne by a rigged plebiscite, where he made the right-wing General Ioannis Metaxas prime minister. Nine months later, Metaxas assumed dictatorial powers with the king’s consent under the pretext of preventing a communist-inspired republican coup. The October 28 national holiday also marks the date in 1940 when Greece entered WWII: The Ochi day ultimatum, which was presented to Metaxas by the Italian ambassador in Greece, Emanuele Grazzi, on October 28, 1940, at dawn (04:00 am), after a party in the German embassy in Athens, demanded that Greece allow Axis forces to enter Greek territory and occupy certain unspecified “strategic locations” or otherwise face war. It was allegedly answered with a single laconic word: όχι or no. In response to Metaxas’s refusal, Italian troops stationed in Albania, then an Italian protectorate, attacked the Greek border at 05:30 am. Metaxas’s reply marked the beginning of Greece’s participation in World War II. Prime Minister Ioannis Metaxas chose the road of resistance, and thus saved his reputation as a dictator. In the morning of October 28, the Greek population took to the streets, irrespective of political affiliation, shouting ‘ochi’. From 1942, it was celebrated as Ochi Day. During the war, October 28 was commemorated yearly by Greek communities around the world and in Greece and Cyprus, and after World War II it became a public holiday in Greece and Cyprus. The events of 1940 are commemorated every year with a military parade in Thessaloniki and student parades. On every anniversary, most public buildings and residences are decorated with Greek flags. Αν θέλετε να πιείτε τον καφέ σας και να χαλαρώσετε συντροφία με την υπέροχη θέα μας, ή να απολάυσετε cocktail, μπύρα ή ποτό με τους φίλους σας, από σήμερα μπορείτε να το κάνετε με το καινούριο μας ωράριο! Καθέ Δευτερα μέχρι Παρασκευή ανοίγουμε στις 17:00 το μεσιμέρι μέχρι τη 1:00 βράδυ και κάθε Σάββατο και Κυριακή ανοίγουμε στις 12:00 το πρωί μέχρι τη 1:00 το βράδυ! What is the best time to go on vacation in Greece? It always depends on your personal interests, but autumn is probably the best season to visit Greece. Peak season is over, there are less people, but you can enjoy the views and relax, since the weather is still nice. Autumn is the best opportunity to explore the Greek history, art and culture. Greece is not only the islands, which are the main attraction in summer. The sun, the clear blue sea and the nightlife is the reason why people choose to visit Greece in summer. However, if you come to Greece in autumn, you will avoid summer’s inflated prices, hordes of tourists and high temperatures. You can still enjoy a warm enough sea to swim in and you can visit the mainland which has a rich nature and plenty of archeological sites. You only need to check the ferry and flights timetables as there are fewer off-season. Also, there are lots of festivals. Greece is a true paradise for cultural tourism, a large journey into history and art. You can enjoy the stunning nature, and empty beaches in a fresh and cool climate with no crowds in sight. There is so much to see and do in Athens – there are so many historic monuments, museums, art galleries, theatres and temples, not to mention the fantastic local food and cosmopolitan nightlife – Athens truly has something for everyone. If one could possibly ever get bored of this city then you only need to take a bus or train for one or two hours in any direction to be surrounded by beautiful Greek countryside, or in less than a day you can reach any of the famous Greek islands. If you love nature and the outdoors then the autumn and winter are the perfect time to enjoy the countryside around Athens and Greece. The colours are so beautiful and vibrant, the smell of the earth after the rain is wonderful and the air is cool and fresh. During the winter months, people working in hospitality have much more time to spend socialising with customers – so if you enjoy chatting to the local people when you go out then the winter months may suit you much better. It often feels like a family home rather than just another busy hotel. The whole atmosphere in Athens is much more relaxed in the autumn and winter months and there are certainly still plenty of tourists, travellers and backpackers. Also, every Sunday during the winter most public museums and archaeological sites across Greece are free of admission!! If you want to explore the stunning nature around Athens and Greece in a cool, fresh climate, visit all the archaeological and historical sites without them being overly crowded, if you’re interested in meeting a variety of helpful, relaxed locals and travellers and backpackers from all over the world, and if you like to travel spontaneously without having to book weeks or months in advance or if you’re travelling on a budget – then you may find that the perfect time to visit Athens and Greece is during the autumn or winter.